At Assemblies – See individual Year Group websites for the Assembly presentations.These can be accessed through the main school website. School Trips – Rome, Salamanca, Ardeche Watersports, S2 French Ski Trip, London, Valencia, Berlin, Belgium, Beijing, Auschwitz, Cern, Lochgoilhead, Carfin, Culzean Castle, Kelvingrove Art Gallery, and many more (details on the school website). Mental health is more than just the absence of mental illness. It includes emotional resilience which enables us to enjoy life and survive pain, disappointment and sadness. It is a positive sense of well-being and an underlying belief in our own and other’s worth. 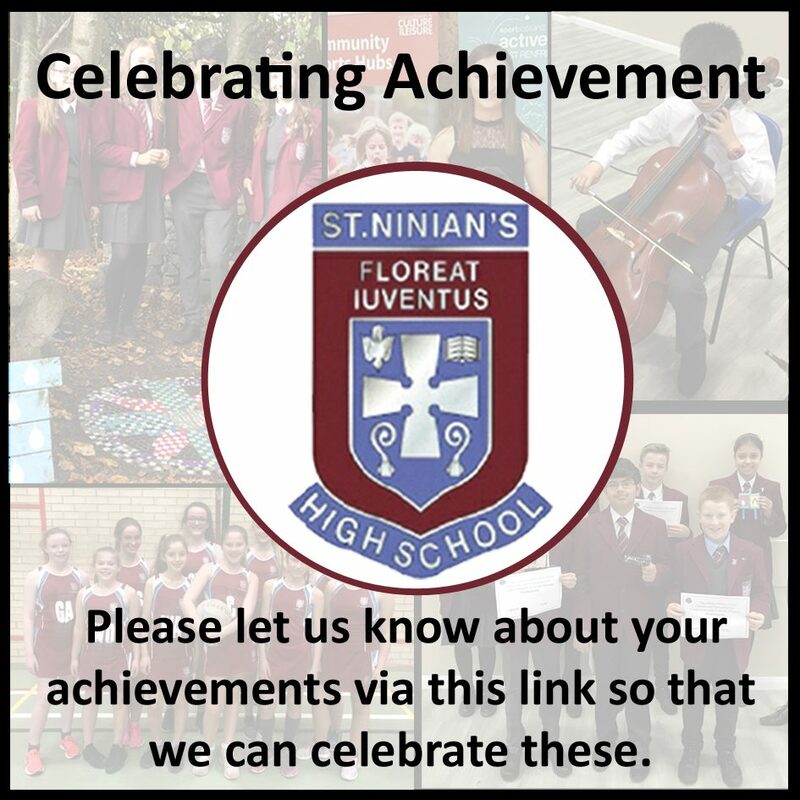 St Ninian’s High has a website dedicated to promoting positive mental health. Please click on the image below to access this site.